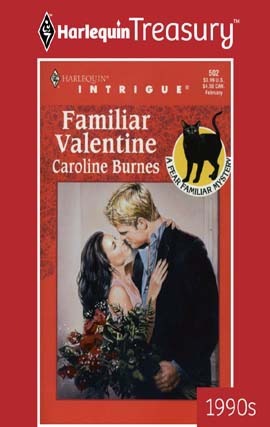 Fear Familiar–Meet the coolest feline detective to ever take on mystery, mayhem and matchmaking! 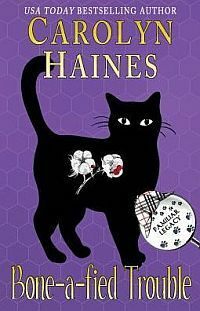 In the midst of an undercover operation, Dan Carson should never have listened to a seeming message from–a cat! But when a beautiful, secretive woman vanished frmo the Valentine charity event he’d sponsored, Dan sensed she was in danger…. Impressions raced thrugh Celeste Levert as she stared into Dan’s deep blue eyes. He’d saved her from an attacker–dare she accept his offer of protection? Dan would gurd Celeste with his life–but what she wanted was his heart. And if he learned the truth about her, that was one thing he would never offer….